February 10, 2010—The U.S. Consumer Product Safety Commission and Health Canada, in cooperation with the firm named below, today announced a voluntary recall of the following products. Consumers should stop using recalled products immediately unless otherwise instructed. Importer: Britax Child Safety, Inc., of Charlotte, N.C. Hazard: The stroller’s hinge mechanism poses a fingertip amputation and laceration hazard to the child when the consumer is unfolding/opening the stroller. Description: This recall involves all Britax “Blink” single umbrella strollers. “Blink” is printed on the metal frame on both sides of the stroller, below the hand grips. 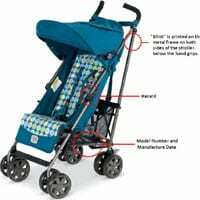 The recalled “Blink” strollers have model numbers U261813, U261814, U261815, U261816, U261817, U271813, U271817 and U271815 and were manufactured between May 2009 and September 2009. The model number and manufacturing date can be found on a white label on the stroller frame, near the bottom of the stroller basket. 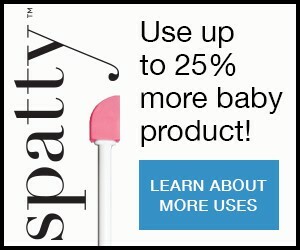 Sold at: Buy Buy Baby and other juvenile product and mass merchandise retailers nationwide in the U.S. and Canada and on the Web at www.Amazon.com, www.babiesrus.com, www.Target.com and www.Diapers.com from July 2009 through February 2010 for about $150. Remedy: Consumers should immediately stop using the recalled strollers and contact Britax to receive free stroller hinge covers. Consumer Contact: For additional information, contact Britax toll-free at (888) 427-4829 between 8 a.m. and 5 p.m. ET Monday through Friday, or visit the firm’s website at www.BlinkRecall.com.